Penalties for Alcohol and Drug-Related Driving Violations in New York [infographic] | Raw Law | Law Offices of Adam M. Thompson, P.C. 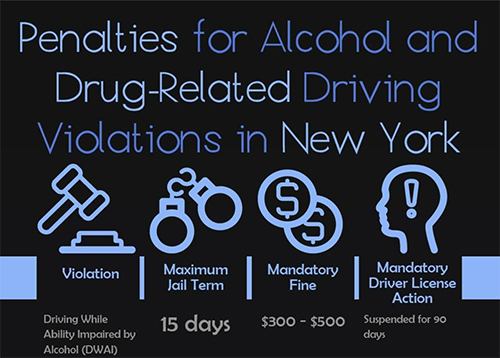 Learn more about penalties for alcohol and drug-related driving violations in New York in this infographic. Click to view PDF.